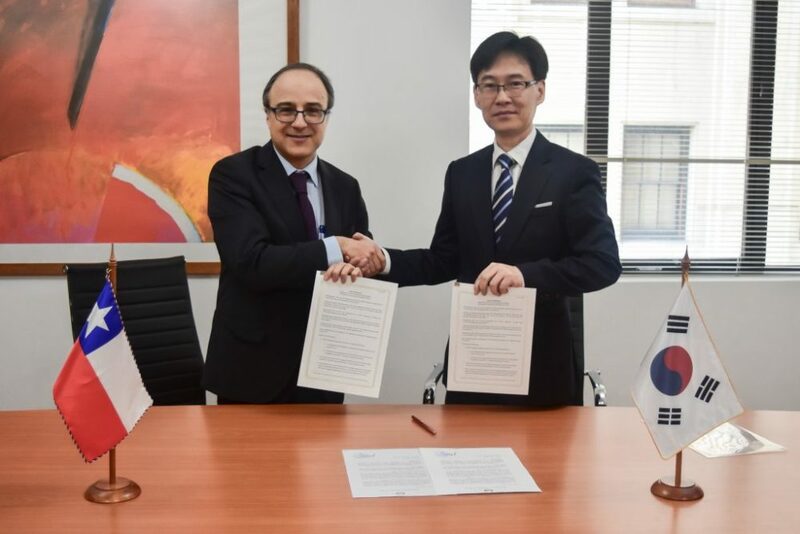 Chile and South Korea have signed the Terms of Reference that will serve as a basis for deepening the Free Trade Agreement (FTA) that has been in force between the two countries since April 2004. 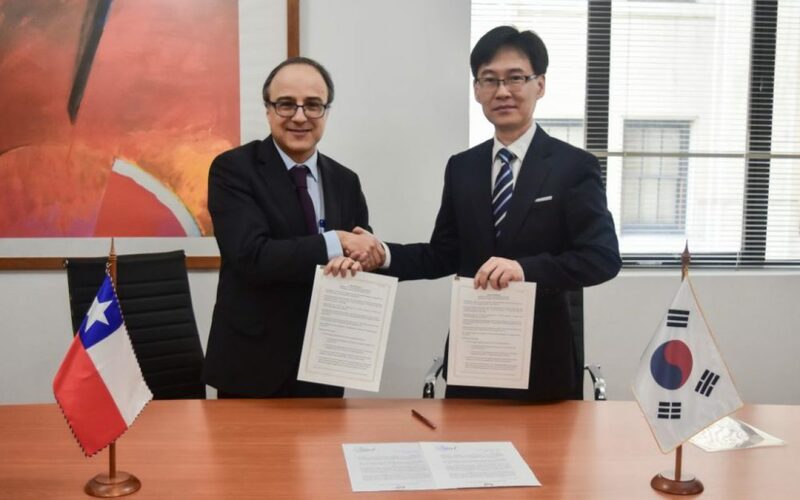 The Director of Bilateral Economic Affairs at Direcon, Felipe Lopeandía, and Advisor to the South Korean Embassy in Chile, Chunhee Lee participated in the ceremony. “Signing what was Latin America’s first FTA with an Asian country 14 years ago was a tremendous achievement and we hope to continue building on it through the modernization process scheduled to begin this year,” said Felipe Lopeandía, who added that the first round of negotiations is expected to take place in the third quarter of 2018. South Korea is Chile’s fifth largest trading partner — after China, the United States, Brazil and Japan — and the fourth largest market for our shipments. In 2017, trade between the two countries totaled US$6.15 billion, representing 5% of Chile’s foreign trade. In terms of the industries that Chile is most interested in including in this process, the Director of Bilateral Economic Affairs explained that the current FTA with Korea excludes a range of products from preferential tariffs, particularly the 370 products on the Doha Development Agenda (DDA), which would be liberated if the DDA were concluded. The majority of these products are agroindustrial and represent great potential for our exporters. Progress must be made through the modernization of the free trade agreement to cover items currently excluded as a result of the stalled DDA negotiations, as South Korea has already done with Mexico and the United States. Moreover, the new issues on the international trade agenda must be included in this process, which will prove essential to facing the challenges of the 21st century,” said Felipe Lopeandía.